— By Larry LeBlanc (CelebrityAccess MediaWire) This week In the Hot Seat with authors Todd Brabec, and Jeff Brabec. 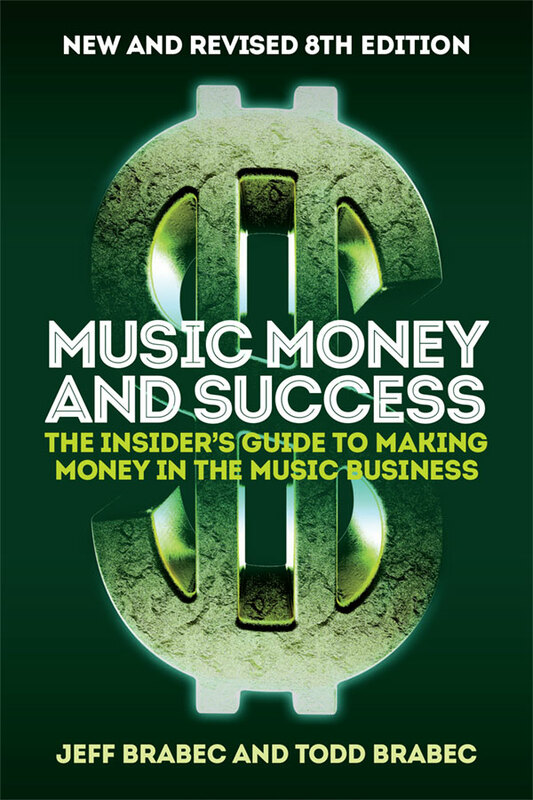 Twins Todd and Jeff Brabec are co-authors of the influential music industry primer, "Music Money And Success: The Insider's Guide to Making Money in the Music Business" (Schirmer Books), now its 7th edition. The Brabecs, both graduates of the New York University School of Law, and based now in Los Angeles, each have long standing reputations as high fliers in the music publishing world. Following graduation in 1971, they both applied for work at the American Society of Composers, Authors and Publishers (ASCAP) in New York. An obstacle, however, was that there was only a single position available. The brothers took the job together, and worked as part-timers for three months before ASCAP hired them both at full salaries. While Jeff went on to top executive jobs at PolyGram Music Group, The Welk Music Group, Arista-Interworld Music Group, and is currently VP of Business Affairs for BMG Chrysalis; Todd remained with ASCAP for 37 years until returning to his own law practice three years ago. As executive VP and worldwide director of membership at ASCAP, Todd was in charge of its membership operations throughout the world. He signed many of ASCAP’s most successful pop songwriters, and writer/artists including: James Taylor, Marvin Gaye, Metallica, Green Day, Smokey Robinson, Joni Mitchell, Neil Young, Randy Newman, Journey, Earth, Wind & Fire, Bob McDill, Jeff Lynne and Tom Petty as well as such film and television composers as James Horner, Hans Zimmer, James Newton Howard, and Michael Giacchino. At BMG Chrysalis, Jeff negotiates music publishing catalog acquisitions, as well as songwriter agreements. The company represents the evergreen catalogs of OutKast, Sheryl Crow, Gnarls Barkley, Danger Mouse, John Denver, Leon Russell, My Morning Jacket, Blondie, David Bowie, and Paul Anka among others. There have been so many changes to the music industry since you started publishing “Music Money and Success” in 1994. With the rise of the digital age, it is almost like the industry is upside down. TODD: It’s not upside down, financially. In all of our talks—and our talks are based on the book, and on our own experiences—we cover both the traditional area of licensing, and contracts as well as the online digital world of contracts, and uses; and how the two are being combined in these particular agreements. Some of them are still separate but the online stuff—or digital rights stuff or whatever word you want to use—is being included in practically every type of agreement for music use. But the dollar figures are still substantially in favor of traditional media. That’s nothing new. And the online (clauses) are not afterthoughts; they are being included into every type of agreement. But the dollars attached to them are minimal to date from my experience. JEFF: Most of the money (being generated) is still coming from the traditional world. It is going to stay that way for awhile even though CD sales are lessening to put it mildly, and the digital sales have gone up. We have situations like where our writer Dan Wilson co-wrote the song “Someone Like You” with Adele (for her second studio album “21”). It is over three million units downloaded in the U.S. alone plus Adele’s album is over 1.6 million in digital and 4.6 million total (U.S. sales). So there are three million units non-digital and 1.6 million digital (in the U.S.) on Adele alone (for the “21” album). The single is three million downloads times 9.1 cents for the songwriter and music publisher. Take a look at Adele’s “Rolling In The Deep” (co-written by Paul Epworth and Adele), and you are looking at 5.8 million downloads in the U.S. alone. So there’s a lot of money being made in the physical area, and selectively there is an enormous amount of money being made in the digital area, depending (on success). You’ve got to have the right song and the right artist. But it’s interesting that more of the money is coming from traditional right now. Due to your individual backgrounds, and the long-time popularity of your book, you two are now music industry elder statesmen. Has it become more difficult to advise and build relationships with younger musicians and songwriters? TODD: The book, the articles and our talks have helped. Jeff and I try to explain things in the simplest terms based on the audience. There is always something that we can pass on to the newest writer or the newest artist just based on the number of people that we have dealt with in our lives. TODD: One thing we are doing with a lot of our audiences these days is telling them that they have to manage expectations, financial and otherwise. When opportunities do arise, they’d better have some idea of how a license works; whether it’s a video game license or a TV license, even for a small production. Just have the basics (from our books and talks). They might get the fee wrong or negotiate badly, but they aren’t losing the copyright. You learn by your mistakes. Is the market for the “Music Money and Success” book more educational than general retail? JEFF: It’s half and half. The education market is very big for us, and a lot of lawyers pick it up. TODD: And there’s the financial market. (People working at) banks and equity funds. Is there still money being left on the table by artists and songwriters due to incompetence or ignorance? JEFF: Because the business is getting more and more complex, some of the agreements that we are doing right now—(with) percentages of profits or percentages of retail or wholesale price less certain deductions etc. or less fees etc.—people really have to be a mathematician or a financial person these days in addition to being a lawyer or business person. It is one thing to understand the legalities of an agreement, but they have to understand the economics and know what an agreement really means so they can go after the money. So yeah, I think that there is probably a lot of money left out there. TODD: As Jeff said, the whole online digital world, people just don’t understand it yet. Some think they do, but they don’t know what the money attached to it is. It’s still a mystery. It is going to be a major source of income sometime in the future, but not now. Traditional is going to come down, and the digital online is going to go up. But a lot of people, whether its ignorance or they don’t understand the technology, they just don’t get it yet. There’s a lot of money being left out there that could have been collected, I’m sure. So many artists and songwriters are confused over the varied uses of music in the digital world today. JEFF: They don’t have to do it (oversee contracts and negotiations) themselves but they better have a team around them that knows what they are doing. It might not be their role. Their role may be just to create. TODD: Something people aren’t paying attention to today is the insertion of clauses into contracts that are not good for copyright owners. I just caught one recently on a sync license that was sent to me. It was a major song, and it was a major studio. The contract had a clause saying this (contract) included a buy-out of theatrical (rights) which is normal for the U.S. and for video which would be for DVD sales. That’s standard but (a clause) also included a buyout of all internet performances. This was the first time I’d seen this. It’s ridiculous. New usages for music seem to pop up daily. TODD: The New York Times recently had an article about Western Union bringing back their singing telegrams. They’ve gotten some major artists to do them, and they have put background music and the person can put their own voice on the greeting. So there’s this combination of a recording with a major artist and the consumer being added to the mix with their own version, and it’s being delivered by email to the recipients. That’s fascinating. [Snoop Dogg, Timbaland, K'naan and Indian singer Sunidhi Chauhan are among the artists lending their voices to a Western Union campaign to bring the singing telegram into the digital age. Well, there are greeting cards with music as well. TODD: So here’s a regular greeting card license with a new clause regarding the E-card as part of the contract. There’s a whole separate definition of what this is (as a greeting card). It is really interesting the add-ons that they are doing with these traditional type of media which goes back to my comment that traditional media is still where the money is; but they (labels and music publishers) are adding the online digital aspect, the on-line aspect to every type of agreement these days. JEFF: The TV world is very fascinating these days. Shows like “Dancing with the Stars” and “American Idol,” all of those licenses have multiple options on the publishing side. You didn’t have multiple options years ago. There were very simple TV licenses (for music). Now (music publishers) have options for the internet, for streaming, for ringtones, for ring backs, and for downloading. With the licenses today with TV, you can see how the digital world has been incorporated. The licenses are more complex because there are more options because of the digital and the new distribution platforms. It is almost like a menu of things. You get paid for each check mark on the menu that a TV producer chooses. Lessening music sales on the physical side has resulted in substantial changes with recording contracts. Generally, labels are seeking to share in more revenue streams of an artists’ career. JEFF: Definitely. The difference in a lot of the recording contracts is that the record companies are not able to do a net sales situation in the digital world. Net sales are actual sales regardless of what contracts say. There are no packaging deductions—or at least there shouldn’t be—but the whole record area has changed substantially including in respect to digital downloads. Is it a license versus a sale, and do you get 50% as a recording artist as for the monies that come in or does the label apply your 18% (from online sales) to a 30% artist royalty? There are loads of issues out there. Whereas the record side can be changing dramatically, music publishing has been much more stable because a lot of it is based on certain things like the copyright laws; or mutually agreed upon rates that have been approved by the Registrar of Copyrights. A lot of the situations in publishing are purely negotiated rates, percentages of the price that the consumer pays etc. A lot of it is negotiated right now as opposed to (a) statutory (rate). TODD: It’s funny on that because not just on the copyright royalty board decisions for the 9.1% mechanical rate, you did have a hearing and the judges came out with that fee but as part of that decision, they incorporated a voluntary agreement amongst the parties to cover limited downloads, ringtones, and interactive streaming rates. It was interesting you did have a copyright royalty tribunal with judges coming out with a decision that included a voluntary agreement by all of the parties within the decisions. That was kind of a new wrinkle. [In 2008, the U.S. Copyright Royalty Board (CRB) set the royalty rates paid for digital permanent downloads, physical product and ringtones. All payments prior to the decision were negotiated by the respective parties. This was the first mechanical right royalty proceedings before the CRB since the emergence of legal online music services. The National Music Publishers Association (NMPA) had sought an increase from 9.1 cents to 15 cents per download. They also asked for an increase in the physical rate to 12.5 cents from 9.1 cents. The Recording Industry Association of America (RIAA) had sought significant cuts from upwards of almost 50% of the current rate, and tried to convince the CRB that the flat rate calculations used to pay songwriters should be changed to a percentage of the label's revenue. This argument was rejected by the CRB, as they maintained the 9.1 cent mechanical royalty song rate for both physical and digital albums and chose to adopt the NMPA pay proposal without amendment. As well, the CRB set the mastertone rate at 24 cents. Furthermore, music publishers were given the right to seek a 1.5 percent late fee, calculated monthly. Both the ringtone rate as well as the late payment fee were appealed. A 2010 decision by the U.S. Court of Appeals for the D.C. Circuit affirmed both. Even with the fixed statutory rate, there are negotiated exceptions on the publishing side. JEFF: In the digital world, it (the rate) is pretty clear right now. There are two exceptions but, in most cases, if with digital distribution of a composition or an album, you are looking at the statutory rate in the United States with very few exceptions. iTunes has attracted consumers into the monetized section of the internet music marketplace but continues to take a big slice of revenues. JEFF: Regardless of whatever fee Apple may take for its services, that doesn’t affect the publishing side. That’s one of the reasons why we are saying that the publishing side is very stable right now. The rules of the road are fairly clear in a lot of situations so it is easier to calculate. In recording and publishing contracts with the majors or with large independents, what are the most contentious issues? JEFF: Let me start off with publishing first because that’s what I do on a day-to-day basis. Retention of rights is one of the major issues. Is it going to be a life of copyright situation or are there going to be contractual reversions? If there are contractual reversions, what type of reversions are they going to be? Virtually all reversions in publishing contracts are tied to recoupment of advances if, in fact, advances are given. Then the question is, if there is a reversion, let’s say its 15 years…. So Jeff, reversion of rights is the big issue in music publishing contract negotiations? JEFF: Reversion and exploitation rights. Reversion is very important though. Reversion is what reverts (back to the original copyright owner). Does the major music publishing company—and this happens in a lot of cases—retain their share and the writer is able to get their co-publisher, and writer share back once advances have been recouped? Let’s say the date is later, say 15 years for recoupment. The type of recoupment, and whether there is going to be reversion, is really important. We spend a lot of time in business affairs on exploitation restrictions because more and more writers are concerned about how their songs are going to be used and are concerned sometimes about other issues. “If there’s a new distribution method, I’d like to have a voice in that as well.” That’s a really tough one. Such restrictions fall under the “administration” of the copyright which most publishers seek to retain. JEFF: Administration definitely, but the problem that publishers have is that if there are too many restrictions in an agreement, it is very tough to promote that song because a lot of users will ask, “Well, is this song available for motion pictures or television shows? Can I freely use the song providing that the scene is somewhat acceptable?” Sometimes restrictions get in the way of licensing, and hurt everyone (involved). From the point of view of a publisher, we aren’t in the business of wrecking songs. We are in the business of commercially exploiting songs. We are trying to build catalogs with what we do. The songwriter gets between 50% to 75% of the (overall) money that comes in anyway. We are just trying to make songs live and sometimes restrictions get in the way of doing that. For decades, music publishers held full publishing rights to songs. Did the music publishers’ investment change when co-ownership of songs became more common? JEFF: I don’t think that the investment changed. The income projections, however, are less when you project out what a deal is going to earn. But it’s all about bargaining power and good songs. You pay for good songs. You pay for good writers. It really is as simple as that. In your financial projections (as a music publisher), you are basing things on reality. Hits happen, and other deals don’t go anywhere. Obviously, your projections are less (now) so your risk is more if you are putting in the same amount of money. That is a factor whether it’s a 100% deal or a 75/25 deal or 50/50 co-publishing. That comes in as a factor (in negotiations) but so many of the deals are co-publishing deals, even when the writer doesn’t have a publishing company. Sometimes, they will get 50% participation in the publisher’s share of income. TODD: Going back to the type of contracts that you are talking about Larry is that really core (catalog) repertoire where publishers have 100% of something which is more valuable than having 50% of something. Back in the late ‘30s, ‘40s and ‘50s there wasn’t a lot of money (in music publishing) if I recall. So there wasn’t a lot of (revenue) outlay from the publishers to the writer other than draws. In the main, people weren’t getting a lot. The economics were very different. Nashville was one of the last holdouts for retaining full publishing of songs. JEFF: There are still deals that are full publishing deals. They might have escalators in the deal depending on success or depending on if an option is picked up. There are lots of ways to structure deals that if they (the songs) are successful that the writer will start participating; although the writer may not have had the bargaining power to start off with. But there are still some 100% deals out there, especially if you are (a music publisher) in the development mode where you just believe in the writer. Even if there are cuts coming out in the near future, you never know actually when then they are coming out. They might be on hold and you may be looking at two years down the line before you begin receiving any significant revenue. What are the most contentious issues in negotiating a recording deal with a major label or a large indie? JEFF: I think that on the indie deals it is what can be taken off the top before everybody shares in a net participation situation. Guaranteed promotion money is very important these days. You just can’t have a record label putting something out on the internet and say, “This is a release that satisfies our obligation.” So promotion money is really important. Tour support is very important. Getting the artist on a tour, even if they are on a small tour, is important. Just to get them out there to get a feel of what touring is like and start building an audience is important as a career builder. Both promotion and touring support are usually recoupable under most contracts, although artists’ representatives will try to limit what is recoupable. JEFF: Sometimes they are 50% recoupable; sometimes they are 100% recoupable. There are all sorts of ways to structure these deals. To me the major area of concerns in a recording deal—the 360 or the 300 or 280 or whatever percentage it is depending on what rights they are taking—is that all of a sudden an artist can lose their bundle of separate rights where they can deal with different parties who are going to do the best for their career and have the ability and the resources to focus in on each specific aspect. TODD: I’d add that they (labels) should have the expertise (for the services being negotiated) into that mix. There are more issues in recording agreements today because of the advent of the 360 type deals. JEFF: There are a lot more issues in the recording agreement because of the 360 deal. You are looking at a whole ball of rights being included. That’s a major change in the recording area. This is not just with the major labels. I’ve seen it happening with indie labels with net profit types of deals which are fairly prevalent in the indie area; where (artists) don’t get paid until all of the costs have been recouped including manufacturing, promotion etc. and then they are basically on a 50/50 or other types of splits. There are lots of things happening in the recording area that relate to the bundle of rights that (once) used to be separated and the recording artist/writer could negotiate with a publisher and negotiate with a record company—two separate negotiations; two separate royalty streams; two separate advances etc. Now recording artists/writers possibly get the deal or they don’t get the deal by including all of their rights. The record company is taking various percentages (of publishing). Not maybe the 50/50 but something else. It’s all over the place right now. It’s a rough environment for an artist today because they don’t have the ability in some respects to negotiate with multiple parties for multiple rights and for multiple revenue streams. Certainly, more labels are seeking to participate in publishing. Given the lessened physical music sales, many of the smaller independent labels now need to have that revenue stream to exist. JEFF: They are trying to get as many income sources as possible. Whether that is right or not is a whole other story. If they are equipped to be a music publisher and can provide services is at issue. Most are not. Meanwhile, escalating percentages of sales plateaus have been lowered or have been discarded at most labels. JEFF: Well, the escalating royalty rates are still around to a degree, whether or not they include digital is a matter of negotiation. The plateaus are definitely less (than previously). If you have bargaining power, you are not going to stick anymore with the normal plateaus of the royally rates going up by units. So there’s a lot more negotiation. How about the reversion issue in the U.S. that is looming in 2013 for many masters? It is becoming more and more an issue, is it not? JEFF: Definitely. Todd and I have always joked that it is amazing how quickly 35 years goes by. The publishing side (of music rights) is much clearer, but the recording side is very complex. There is a possibility of multiple rights owners and multiple claimants on the reversion issues. [Under the 1976 U.S. Copyright Act, the author of a recording has the right to terminate the original transfer of copyright to the record company 35 years after that transfer. If a recording was created and released in 1978 (the first effective year of the current copyright law), the author can reclaim that recording in 2013, subject to various notice provisions. It comes down to who actually is the “author” of the master. JEFF: Right. That might include the producer or the featured recording artist. What about the backup singers? There are multiple layers here (in a master right). Then there’s the requirement that the majority of the creators or copyrights owners—people exercising the reversion rights and have a right to there—have to be a majority, if there is more than one. So we are getting into a number of complications. We are going to be in a situation where, unfortunately, there is going to be a cloud over many masters, over some very famous masters, because there are going to be disputes. There are going to be court cases. I fear that licensees will not be able to use a lot of these masters because they are going to be very concerned about who actually owns the rights. Now that opens up a door to alternative masters, and people (artists), out of their (contractual) re-recording restrictions, re-doing their masters and other things. There are downsides, and opportunities in every situation. TODD: And the question of whether something is a “work for hire” situation is going to be a main battleground. There are going to be different cases and some of them (labels and production companies) saying that it is a work for hire; and some of them (artists) saying it is not a work for hire. Take situations where there are manufactured groups—where everything is controlled by the record company or a producer or somebody—are those work for hire versus just a regular recording agreement? There are a lot of issues that are going to be litigated and there’s no standard answer that is going to come up in the short term. JEFF: Also, one (court) jurisdiction could go completely opposite (from other courts). Most of these cases are going to be fact based. That is why it is important that some of the first cases that go up—depending on whose side you are one— have the appropriate facts to get the decision going in your direction. People are filing now to regain masters? If you are an artist with a substantial catalog and a label is keen on having you re-sign, the label might back away from trying to retain the masters. JEFF: The negotiations are going to be very, very interesting. Catalog masters are extremely valuable. Remember one thing, this reversion issue has to do with the United States only. So it’s not extra-territorial. It is going to further complicate licensing issues because normally a licensee for film and TV, commercials, and apps using masters are looking for a worldwide license. So if masters do revert and there are new owners—let’s say all of the problems have been resolved and there is a new owner for the United States, and let’s say that it’s the recording artist, anyone wanting a worldwide license will have to go the recording artist who owns the U.S. rights to the master; and to the record company which owns the ex-U.S. rights to the master. It is going to make things more complex and will hurt licensing for certain masters. A lot of us (in the music industry) feel that being able to one-stop shop is the easiest way to go and that is going to get more and more complex. Take away the labels rights to control the masters in their catalog, what do they have left? JEFF: Well, they would still have the foreign rights. The foreign market is enormous. So we’re talking about a (potential) loss or rights, and a loss of income but they would still get all of the countries outside of the United States plus rights to licenses that had been issued prior to the termination date. So this is not a total loss of rights. It is just a reduction of rights and, certainly, a reduction of income. Labels may lose a major territory in that they may have the inability to license new uses of the masters in the United States which is an enormous territory in respect to money. TODD: They may also own the publishing rights to a lot of (the recordings). What will be the final outcome of the recent ASCAP case before the Supreme Court. A change in the law, eventually? [In Oct., 2011, The United States Supreme Court declined to hear an appeal from the American Society of Composers, Authors and Publishers (ASCAP), one of the three major performing rights organizations in the U.S. that collect royalties on behalf of publishers, and songwriters, that may have resulted in increased royalties for digital music use. The decision let stand a lower court’s ruling that downloading a song does not constitute a public performance of it. The case, originally filed by ASCAP in 2007, concerns the two types of royalties paid to publishers for the music and lyrics that underlies any recording. Most forms of online streaming are considered a form of public performance, which allows publishers to be paid a royalty based on the performance right of copyright holders. A download, on the other hand, incurs a different royalty as a “mechanical reproduction” of a song in a fixed format. ASCAP argued that the digital transmission of a download was a public performance, in addition to its being a permanent reproduction. A federal district court had earlier ruled against ASCAP. The Supreme Court decision effectively affirmed the status quo. That decision dealt with audio downloads, primarily. It remains unclear what constitutes a public performance if music in a film is downloaded. It’s not clear. TODD: I know. The Society of Composers and Lyricists, the main body representing most film and TV composers, is very concerned about the whole area of audio visual works. There was the ASCAP rate court case; and (earlier) the AOL, Yahoo, and RealNetworks case that ruled that there is no performance in a download which was then appealed; and the Second Circuit agreed with that; and the Supreme Court denied cert (certiorari). So that is, unfortunately, the law of the land until it comes up in a different jurisdiction or in a different case or there is some legislation (to change the law). Now what everybody is concerned about in the film and TV community is that when you download a feature film or a television series, is there now no performance in that particular download? It would be an absolute killer for composers as well songwriters who have works in many audio visual projects. A good percentage of revenue for film and TV composers is derived from performance licenses from around the world. TODD: Yes. That brings up a whole different issue where there are different laws (in other countries) primarily much more favorable to the creator, and the copyright owner than in the United States. In almost every country, that (public performance) issue has been decided. There is a performance in a download in the U.K., Canada, Australia, France, and Germany—all of these major markets. It is part of their law; but they combine both rights into one license, the mechanical and the performance (right). It is sometimes called a reproduction and communication right. Nobody argues about whether it’s performance or mechanical. (A copyright owner) gets all of the rights needed—from either a negotiated price or (rulings from a) tribunal or copyright board that sets the price, and then it is divided amongst the organizations. The U.S. has agreements around the world in countries which recognize a performance right. Under the reciprocal terms in these agreements, songwriters and publishers are losing out on significant income. TODD: Well, yeah that’s a big concern. It goes back to the reciprocal agreements amongst the societies where monies flow back and forth for U.S. performances overseas; and foreign writers and publishers’ works performed in the United States. There are reciprocal agreements that cover these areas. Unfortunately, take the example of the theatrical right, the Alden Rochelle 1948 case with ASCAP. It was an anti-trust case, and because of it, anytime music is performed in movie theatres, when films are shown in theatres, it is not licensed by the U.S. PROs (performing rights societies), ASCAP, BMI or SESAC; whereas through the rest of the world, every society licenses movie theatres. Roughly 1% of the box office goes to all of the composers and songwriters and publishers in a feature film. Now that money is substantial. If you take a look at “Avatar” which did something like $2 billion in overseas theatrical performances, but zero for the U.S. theatrical performances. Still, the composer James Horner and anyone else who had music in that film, did exceptionally well. You were both in the rock band the Reunion signed to the Audio Fidelity label in the late ‘60s. It was the first U.S. label to issue stereo recordings. TODD: One of our singles “People Getting Younger” (in 1968) came out and it was one of the first stereo singles. It got put into all of these jukeboxes but all of the jukeboxes were monaural so all you heard was Jeff’s voice, and the bass guitar. [New York-based Audio Fidelity Records introduced the first mass-produced American stereophonic LP in 1957. It was introduced to the public on December 13, 1957 at the Times Auditorium in New York. Side one was The Dukes of Dixieland, side two was railroad sound effects. Sidney Frey, founder and president, launched Audio Fidelity in 1954, and sold the company to Herman Gimbel in the mid-‘60s. The last known releases under the Audio Fidelity label were in 1984. You both attended the New York University School of Law. TODD: We were both at NYU at the same time. We were getting close to graduating from college, and we were trying to figure out what to do. Our father’s lawyer said, “Tell your boys that they should go to law school. It will always be helpful to them no matter what they do.” It couldn’t be a truer comment. JEFF: It certainly changed our lives having that law degree. What part of New York did you grow up in? JEFF: Manhattan. Our mother (Claire) is still there on 81st Street on the East Side. Your father worked at MCA. JEFF: He was a big agent for them for many years. He ran the industrial show division for many years. Were your parents emigrants to America? JEFF: My mother’s family goes back, I think, to the ship after the Mayflower. On my father’s side, my grandmother was born here, but my grandfather was born in Bohemia in the Czech Republic. How did your family end up in Chicago? JEFF: Chicago was the great melting pot. A city of neighborhoods. It had the Czech neighborhood, the Polish neighborhood and so on. A lot of the immigrants went there because the work was there plus they had had a lot of different communities where they all practiced their own cultures. Your family moved to New York when you were both six or seven. JEFF: My father moved back to New York with MCA. He had worked for the Fredericks Brothers which was a big agency. My father went into the second World War and was made a commander of a mine sweeper. He came out and went to New York for MCA. They bought Frederick Brothers. Did your father take you to many shows? JEFF: We weren’t really into shows. We didn’t have that much interest. It was all sports. A Yankee game would have been worthwhile. At what point in law school did you both start specializing in entertainment? TODD: We took a copyright course only because Jeff and I had a band. We had a band in high school, in college and in law school. That is where I wanted to go with my life. I didn’t know what aspect of it but I wanted to get into the music entertainment field. We graduated from law school and for the first two years as lawyers we were with the Office of the Economic Opportunity in Chicago. We worked as storefront lawyers in the South Side of Chicago. We handled welfare cases, housing cases, and were paid by the government. It was (President) Lyndon Johnson’s big (urban) program. That was when we first met Jessie Jackson, and the Black Panthers were still there at that time. We lived right near where President Obama lived in Hyde Park. JEFF: It was an interesting time in Chicago to say the least. How did you both come to work for ASCAP in New York in 1971? TODD: We both took the job (splitting the salary), and put us down as part-time (employees). Three months later they put us both on full-time. I worked there for 37 years; Jeff worked it for about two years. Todd, 37 years in one job is quite amazing. TODD: Unheard of I know. That doesn’t happen anymore. Did you leave on your own or were you let go? TODD: I left. It was time to leave. I had a great career there. I wanted to teach and do other things. So it was time to go. You were in charge of membership through all of the ASCAP offices worldwide. TODD: Also I oversaw all advances, and any financial transactions. I was responsible mainly for a lot of the weighting (payment) rules—how we paid people; what were the values of (film) themes versus scores and so on. I was instrumental in changing a lot of stuff at ASCAP that needed changing. When did you move from New York to Los Angeles? TODD: It was absolutely great, and there were no restrictions. There were no rules. We (ASCAP) had 20% market share at that time which was dreadful for a PRO of that size. It was the biggest in the U.S. but their market share had plummeted. By the time I had left, we had market share dominance and dominated everything in radio, television, film, you name it. It was just great fun going out every night. We’d go down to the Village, and we’d hit about five different clubs in one night. JEFF: It was such a great opportunity. If you loved music, and loved business, it was a dream job. It was wonderful. TODD: Jeff and I were both fortunate because we were able to meet the writers and the artists directly and have personal relationships with them. The first writers that I signed were Smokey Robinson, and Marvin Gaye who were both with Jobete Music. Smokey, I still see. America, I signed when they first came and they had “A Horse With No Name” (in 1972). We were very fortunate not only in the pop field but also in the film and television area that I know most of the composers. The world was different when Jeff and I started and went through this business. Today, it’s much tougher to get to know these people because there are so many barriers between you and them. Personal relationships don’t happen as much as they did in the past (with songwriters and artists). New artists and songwriters are often shielded today from outsiders by their management or attorneys. TODD: And everybody is very protective of their clients because they don’t want to lose them. There are less clients these days who make money. It’s tougher to penetrate (the barriers) unless you have had long term relationships. We’ve been lucky that we do have long term relationships with law firms, with managers that either trust us or have never had a problem with us. They will give us access but it’s based on long-term relationships. That’s much tougher to get these days. People are much more protective these days.